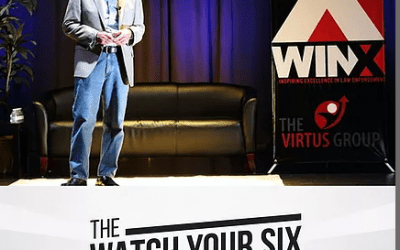 Kristi Neace is an accomplished author, speaker, artist, and police wife. She is also the founder of a nation-wide, non-profit ministry called Badge of Hope. 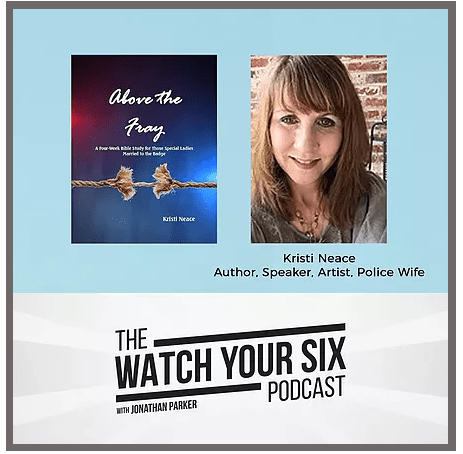 In this episode, Kristi talks about her marriage and personal journey that led to her writing five law enforcement focused books. She describes the theme of each book, with special emphasis on her new release. Above the Fray is a four-week Bible study designed to support and encourage police wives. Kristi will be speaking at several upcoming events, including the RISE Christian Police Conference in Haymarket, VA during National Police Week in May and the Badge of Hope Marriage Conference in Lenexa, Kansas on July 22, 2017. Purchase Kristi’s newest release, Above the Fray. 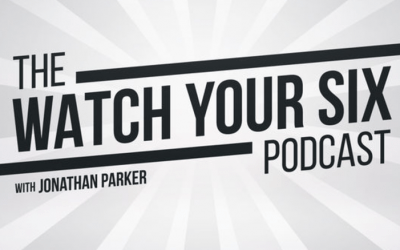 Jonathan Parker is a professional communicator, trainer, podcaster, and pastor who is passionate about serving law enforcement officers and their families. Jonathan was raised in Savannah, GA, and after earning a Bachelor of Science in Criminal Justice and Bachelor of Arts in Spanish, he moved to Cleveland, TN to complete his graduate studies. He graduated from the Pentecostal Theological Seminary in 2006 with a Master of Divinity. Jonathan began working with the Chattanooga Police Department in 2007, and has served on Patrol, as a School Resource Officer in an inner-city high school, and as an adjunct training instructor for multiple agencies. He was twice named “Officer of the Year” for the Chattanooga Police Department, received two life-saving medals – one of those for performing CPR on his wife Meredith who was clinically dead for over 15 minutes after suffering a massive heart attack eight (8) days after the birth of their daughter, and he also received the Tennessee Governor’s Homeland Security Award from former Tennessee Governor Phil Bredeson. 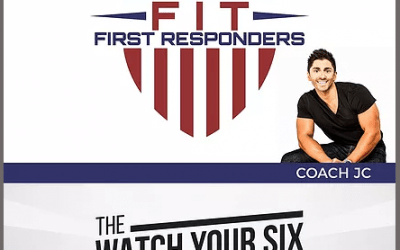 Jonathan is the host of the “Watch Your Six” podcast, which serves law enforcement and first responder families by providing practical resources in six critical areas to help them successfully navigate life and their career. Jonathan, Meredith, and their daughter Olivia are the founding Pastors of Cop Church Chattanooga, a worship gathering for law enforcement families that launched in February 2015. Jonathan can be reached via his website at www.JonathanOParker.com or www.CopChurch.com.